RILA Logistics Conference 2014: Reason #1 to visit the Lynden booth. Lynden, a RILA member and official exhibitor of the 2014 RILA Logistics Conference, will have multiple transportation specialists available at the show (February 23-26 in San Diego, California). Here are the top 3 reasons you should visit our booth! Reason #1 to visit Lynden at the RILA Logistics Conference: Dynamic Routing. Lynden has been working with retail customers for over 50 years, and has been in the transportation business since 1906. Our experience in the retail industry helps us understand the importance of balancing speed and price. With Lynden’s Dynamic Routing service you pay only for the speed you need. Utilizing aircraft, trucks, ships, barge, ferry or any combination, Lynden can offer you door-to-door speed, dependability and economy, whatever the size of your shipment. Dynamic Routing lets you take advantage of all these services in combination to meet your speed and budget concerns. Additionally, Lynden has the ability to transport your retail goods between warehouses, to your stores, or even to the homes of your customers. 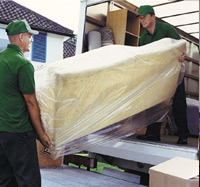 Trust Lynden to provide fast, personalized and first-in-class home delivery service. For additional information please visit www.lynden.com. Visit us at the RILA Logistics Conference - booth #119 - to learn more! • RILA Logistics Conference: Reason #1 - Dynamic Routing. • RILA Logistics Conference: Reason #2 - Geographic Reach. 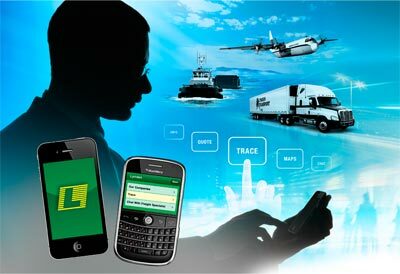 • RILA Logistics Conference: Reason #3 - Technology Capabilities. RILA Logistics Conference 2014: Reason #2 to visit the Lynden booth. 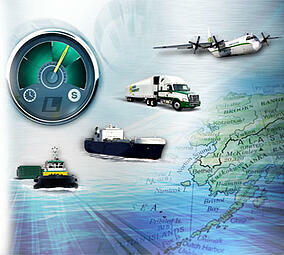 Reason #2 to visit Lynden at the RILA Logistics Conference: Geographic Reach. Lynden has the ability to service your retail needs across the U.S. and worldwide, including those harder-to-reach locations like Alaska, Hawaii, Puerto Rico, and Guam. With company-owned offices and specialized employees focused on each offshore location, Lynden provides the local expertise you need. 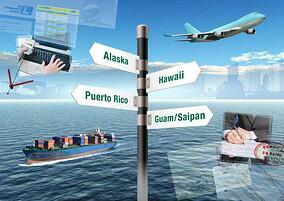 RILA Logistics Conference 2014: Reason #3 to visit the Lynden booth. Reason #3 to visit Lynden at the RILA Logistics Conference: Technology Capabilities. As an additional value to our customers, Lynden provides a variety of online tools to help make your job easier. Lynden’s Mobile Shipping App provides shippers with accurate, up-to-date information and control of your shipments right in the palm of your hand. The app enables you to do a variety of shipping tasks on your smart phone including tracking a freight shipment, requesting rate quotes, and locating Lynden service centers. Our EZ Commerce tools allow you to schedule pickups, track your shipments, receive invoices, and view customized reports - all at the comfort of your computer! Additionally, we provide pre-notifications, delivery appointments, purchase order management, order and warehouse systems, and inventory flow forecasting and control. For additional information please visit www.lynden.com. RILA Logistics Conference 2012: Reason #3 to visit the Lynden booth. Lynden, a RILA member and official exhibitor of the 2012 RILA Logistics Conference, will have multiple transportation specialists available at the show. Here are the top 3 reasons you should visit our booth! Lynden’s new Mobile Shipping App provides shippers with accurate, up-to-date information and control of your shipments right in the palm of your hand. The app enables you to do a variety of shipping tasks on your smart phone including tracking a freight shipment, requesting rate quotes, and locating Lynden service centers. Visit us at the RILA Logistics Conference - booth #431 - to learn more! • RILA Logistics Conference: Reason #2 - Predictive Delivery. RILA Logistics Conference 2012: Reason #2 to visit the Lynden booth. Reason #2 to visit Lynden at the RILA Logistics Conference: Predictive Delivery. Lynden's expertise in serving the retail industry means that we understand how important streamlined operations are in the retail supply chain. That’s why Lynden has invested in Predictive Delivery, a routing and tracking system that plans the most efficient delivery route, estimates the delivery time and communicates with our delivery trucks. Predictive Delivery provides you with an up to the minute estimated delivery time of your shipments via the web, enabling you to plan your operation to be its most efficient and enhancing your ability to compete for customers. Predictive Delivery is currently available for select destination cities. For additional information please contact us. RILA Logistics Conference 2012: Reason #1 to visit the Lynden booth. 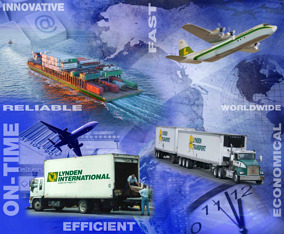 Lynden has been working with retail customers for over 50 years, and has been in the transportation business since 1906. Our experience in the retail industry helps us understand the importance of balancing speed and price. Pay only for the speed you need with Lynden’s Dynamic Routing service. RILA Logistics Conference 2011: Reason #3 to visit the Lynden booth. Lynden, a RILA member and official exhibitor of the 2011 RILA Logistics Conference, will have multiple transportation specialists available at the show. Here are the top 3 reasons you should visit our booth! Visit us at the RILA Logistics Conference - booth #611 - to learn more! • RILA Logistics Conference: Reason #2 - Priority Plus @ Home. RILA Logistics Conference 2011: Reason #2 to visit the Lynden booth. Reason #2 to visit Lynden at the RILA Logistics Conference: Priority Plus @ Home. Lynden's expertise in serving the retail industry means that we understand the delivery experience is a crucial interaction with our client’s customer. Through our Priority Plus @ Home service you can rely on us to provide fast, personalized, and first-in-class home delivery service, logistics & transportation, and technology services. Additionally, Lynden has the ability to transport your retail goods to and from any location in the world, between warehouses, to your stores, or even to the homes of your customers, including Alaska, Hawaii, Puerto Rico and Guam. With company-owned offices and specialized employees focused on each offshore location, Lynden provides the local expertise you need. For additional information please visit www.lynden.com. RILA Logistics Conference 2011: Reason #1 to visit the Lynden booth.